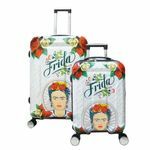 Frida Kahlo is one of the popular artist in Mexico and her printing now available on Luggage. 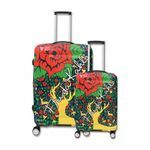 Frida Kahlo Luggage come in set. Each set style come in 2 size. Get your speical luggage easy to find when travel with cool styling fashion luggage.